Contrary to what Nintendo would have you believe, even the most determined plumber/Italian stereotype can't live on mushrooms and leaves alone. Now, thanks to Instructables, he doesn't have to. 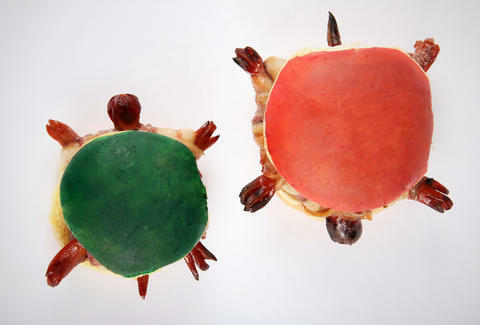 Inspired by Bowser's hard-shelled minions, these Koopa Troopa burgers feature hot dog bits poking out of the sides and a bacon-wrapping to reinforce the beefy "turtle", which is sandwiched between red- and green-dyed buns. You can follow the step-by-step guide over at Instructables. The recipe might not call for any mushrooms, but they're definitely an option if you want the burger to get bigger. Kristin Hunt is a food/drink staff writer for Thrillist and feels a deluxe Bowser burger can't be far behind. Follow her at @kristin_hunt.